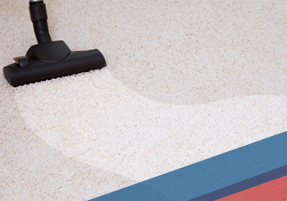 Services: Carpet Cleaning | Fosters – Scottsdale Carpet Cleaning With Valley Wide Service! There are literally hundreds carpet cleaners in the Phoenix Metro area. Unfortunately, they are not all created equal. Too many companies don’t put in the time and effort to create truly superior results. This means your carpets get dirtier faster. Not here at Fosters Carpet Care & Repair. We take the time and care to make sure every carpet we clean ALWAYS includes a pre-treatment of traffic areas; truck mounted, extraction steam cleaning and mild deodorizer with a soft water rinse; and a final raking of carpet to bring back the lift of the fibers. Our protective overspray, which “alters the molecular charge on the textile fibers”, prevents stains and soil from sticking to the fibers resulting in “the highest level of protection from spills and tracked in soils”. We offer removal of a wide range of stains including juice and wine stains, wax, fingernail polish, hair dye, grease and oil, paint, ink, and blood. *2 Rooms and a Hall. Some Conditions apply. Call for details.